I just finished watching Bank of America and its CEO Ken Lewis on CBS's 60 Minutes. (I'm pretty sure I'm the first person on the 'net tonight to blog about it.) Lewis was interviewed by correspondent Lesley Stahl. 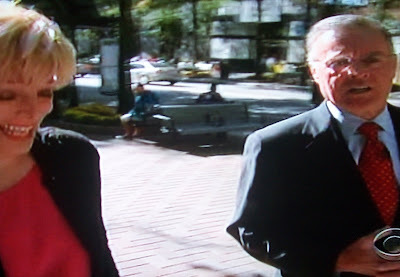 Much of their interview was a walk-and-talk through Bank of America's offices and downtown Charlotte. Lewis said "every other American family in the United States does business with us in some form or fashion." 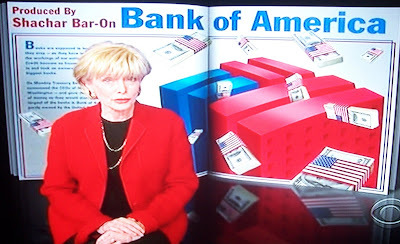 During this economic crisis, people have been taking their money out of other banks and depositing it into Bank of America because it seems to be the strongest and safest bank. The way BofA became the largest bank in the country is by buying the number one companies in virtually every category of banking: Countrywide in mortgages, MBNA in credit cards, etc. BofA is a nearly $3 trillion conglomerate, "the Wal-Mart of banking," Stahl says. 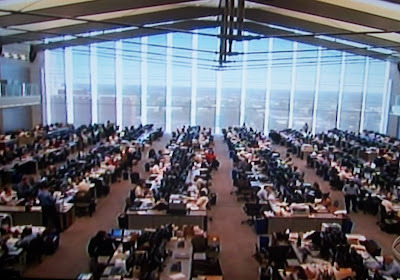 The segment showed BofA's trading floor, showing "600 wheeler-dealers" and what Stahl said is "the iconic image of Wall Street." Except this trading floor is 600 miles south of New York. "The biggest bank in America is headquartered in Charlotte?" Stahl asks rhetorically. "Some people don't even know what state Charlotte is in, whether it's in North or South Carolina. Am I insulting you?" "No," Lewis says. "In fact, I always say 'Charlotte, North Carolina' so they don't have to ask questions." Lewis walks with Stahl down Tryon Street and points to all of the buildings BofA owns. "This building, that building, that building, that building..."
"We didn't like being small. 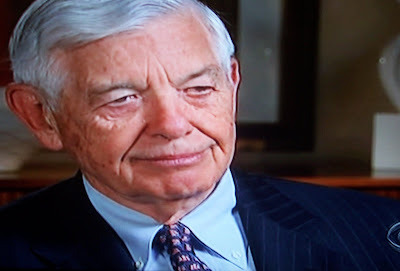 There's nothing really attractive about being small," says former BofA CEO Hugh McColl. He's then asked if he felt like New York used to treat him and his bank like country bumpkins. And he basically says he wasn't trying to take over New York; he wanted to take over the country. Says Stahl, "The crowning victory came last month when Wall Street's most famous investment houses were collapsing under the weight of their toxic portfolios and needed rescuing. 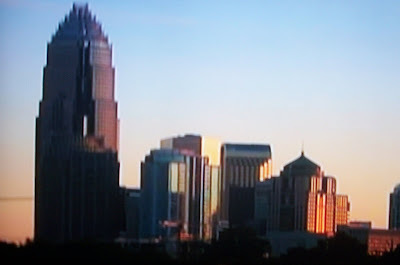 They went hat in hand to Charlotte, North Carolina." Lewis said New York's brokers are being paid too much money. He also said that executive compensation has gotten out of hand. When asked if he thinks his job is secure, he looks stumped, then laughs and says, "I must think that because I don't think about that question." "Did you defeat Wall Street," Stahl asks. "To some degree, we're part of it so I don't know that we defeated it," Lewis says. "Well, if you're number one, and if the idea was to compete with New York or Wall Street, you won," Stahl insists. "Yes, we have won in that sense." The segment makes no mention of Wachovia. All the camera had to do was pan left. Click here for a podcast of the episode.